Written by Catherine Saxelby on Saturday, 30 May 2009. With so much choice these days and 24-hour food availability, it's worth asking why chocolate is the food craved most often. There are plenty of theories to explain those chocolate cravings but not a lot of solid proof. Here's my shot at an explanation where I aim to show that chocolate is in a "class of its own". Hear me out - I firmly believe no other food comes close to chocolate in terms of its superb flavour, rich concentrated composition, easy overconsumption and sensory chemical make-up. The first thing I think of with chocolate is how smooth and sweet it is. How easily and deliciously it slips down the throat ... and into the body! It's marketed as the 'ultimate indulgence' and gift of love, so we feel as if we're getting a treat or something special. In tough economic times, it's no accident that sales of chocolate (like the infamous Dior lipsticks) soar. So this is a good start to my explanation - chocolate is seriously gorgeous to eat! 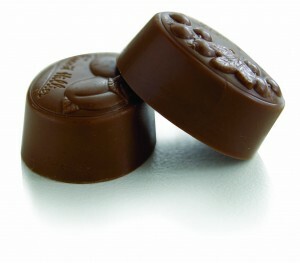 Next chocolate contains phenylethylamine, a chemical which sparks emotional arousal and is released by the brain during happy times (such as when you are in love). There is speculation that if you suffer a broken romance or feel depressed, your brain undergoes a ‘withdrawal' of phenylethylamine, which can trigger a craving for chocolate. So you reach for the chocolate bar to tide you over those awful downers. From time to time, people have suggested that your body is craving some key nutrient - such as copper - which can be found in chocolate. True? Yes chocolate contains small quantities of copper, along with other minerals such as potassium, phosphorus and calcium (especially from milk chocolate). And B vitamins as well. But levels are small. Don't get too excited! You'd get more copper from liver, meat, nuts or even the water out of your tap than from chocolate. Chocolate is banned from almost every diet. It's rich and fattening and considered one of those 'bad' foods that we eat only when we're being 'naughty'. So is it any wonder that we turn to a 'wicked' food when we want to rebel or break out from a mundane day? I hear this all the time - we only crave something that's 'bad'. When's the last time you had a craving for carrots or beans? Go figure. A fix for sugar and fat? Chocolate, whether dark or milk, is a concentrated food. With roughly one-third fat and half sugar, it packs many kilojoules/calories into a small weight. Compare 50 grams of three foods - a 50g bar of chocolate has 1107 kilojoules (264 calories); 50g of lean steak supplies a mere 410 kilojoules (98 calories) while 50g of fried potato chips has less than half of chocolate at 500 kilojoules (120 calories). I've come up with these four different explanations for those dreaded cravings. Knowing them may not make the craving disappear (given that it's so hard to resist), but at least you're armed with something to say to that internal voice next time it asks for a mouthful of the stuff. In the end, small doses of chocolate seem the wisest option. If you can't be around chocolate without swallowing the whole box, it may be best NOT to buy it at all. If it's not in the cupboard, it's not there to tempt you! Dark chocolate - health food or guiltless treat? Product review: Light chocolate – can it help you shed weight?